Medium shrimp wrapped in bacon and broiled until crispy. Served with multi-herb-infused cocktail sauce. Peel and devein shrimp, leaving the tail on. 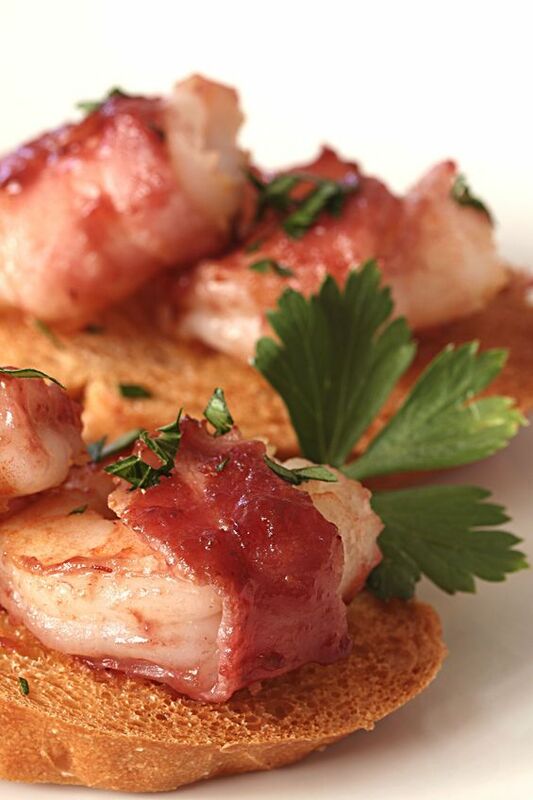 Wrap shrimp or scallop with a whole piece of bacon starting at the large end of the shrimp. Grill on flat grill or in a pan for 4-6 minutes or until crispy, season with fresh pepper. Mix ketchup, horseradish and juice from ½ of the lemon in small bowl (cocktail sauce). Dip shrimp in cocktail sauce or Jimmy T’s BBQ sauce.